Backyard Grannys recently completed our latest Newcastle granny flat build in Abermain located in the beautiful Hunter region. This is not our first job in the suburb and we’re also currently undertaking projects in the neighbouring areas of Kearlsey and Weston. 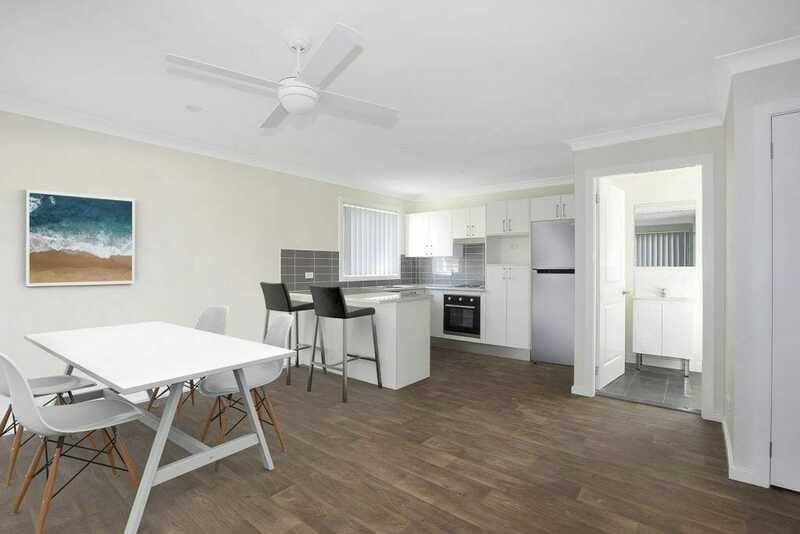 Our client, a Sydney-based investor, had the perfect block for a granny flat. With a boundary of 54 x 26 metres, there was ample open space for the original home and the new granny flat, and plenty of room to provide both buildings with sizable yards. A permanent fence will eventually be installed to divide the two homes. Another great feature about this property was the side lane access. 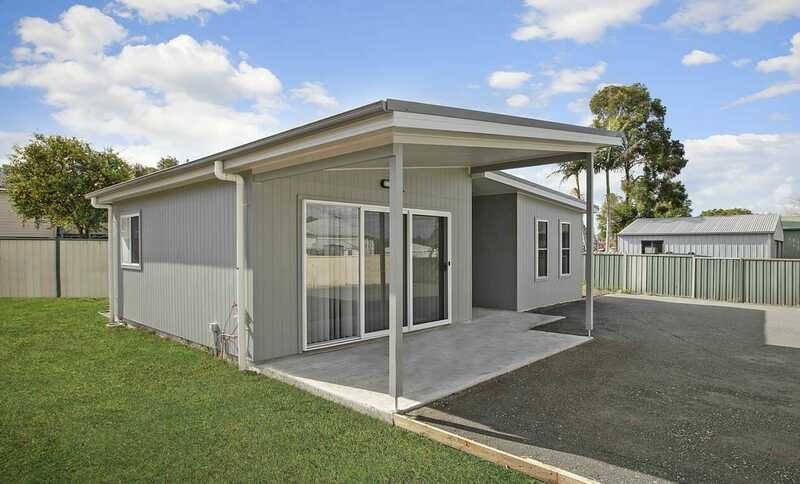 This meant the owner was able to put in a separate driveway for the new granny flat. 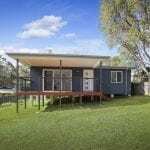 The design chosen for this build was a modified version of the Myall two-bedroom granny flat, a very popular design due to its modern double skillion roof. It contains two bedrooms with built in wardrobes, a generous bathroom and an internal laundry in the linen closet. The contemporary kitchen is open plan, with a breakfast bar and overlooks the living room with its stunning sash windows. This design features the ease of indoor/outdoor living and the inclusion of the generously sized porch creates a seamless entry/exit to the living area when entertaining. The exterior colour scheme of light grey and white gave the granny flat a contemporary feel. 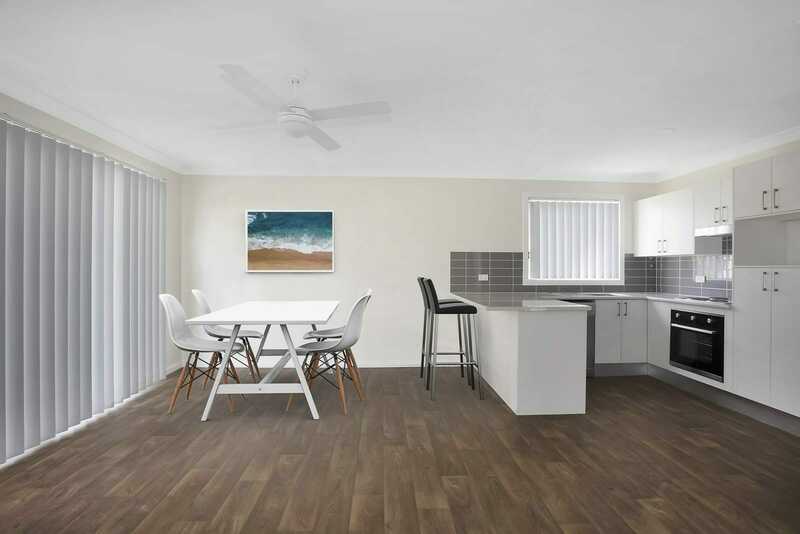 That modern touch was reflected inside the granny flat with white walls and neutral toned flooring throughout the living, kitchen and bedrooms. 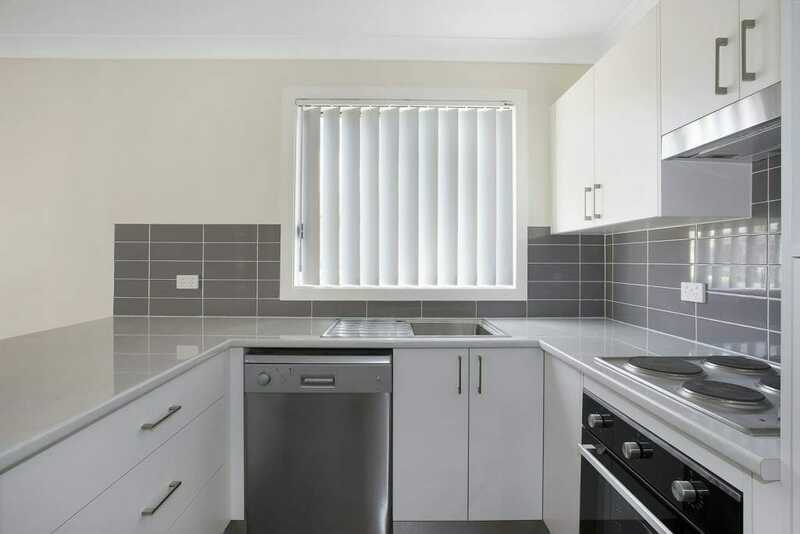 A light grey splashback and white Laminex countertops in the kitchen carry the outdoor colour scheme through to the interior. A window above the kitchen sink shows off the grand backyard and allows natural light to fill the room. Windows also feature in the bedrooms, with the front room including two long vertical openings with blinds. 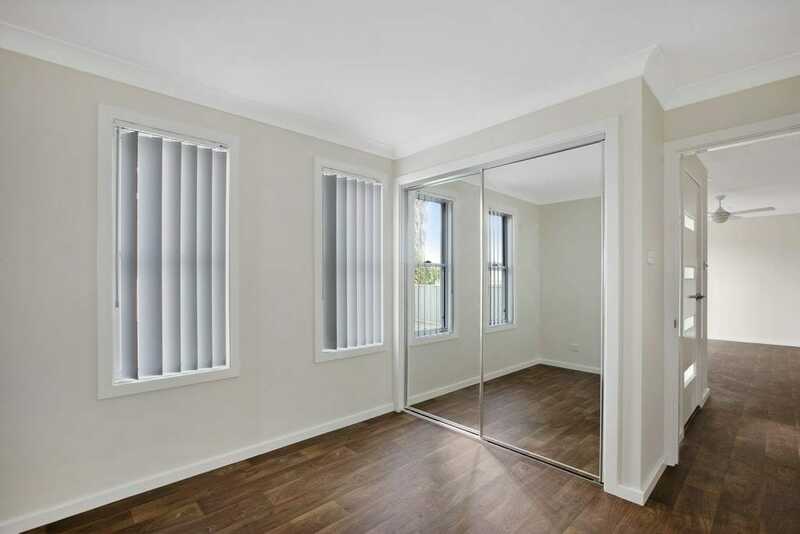 Mirrored wardrobes were also installed to reflect the sunlight and give the illusion of a bigger area. We’re proud of this build – completed in just 14 weeks – and our client is very happy with the result. 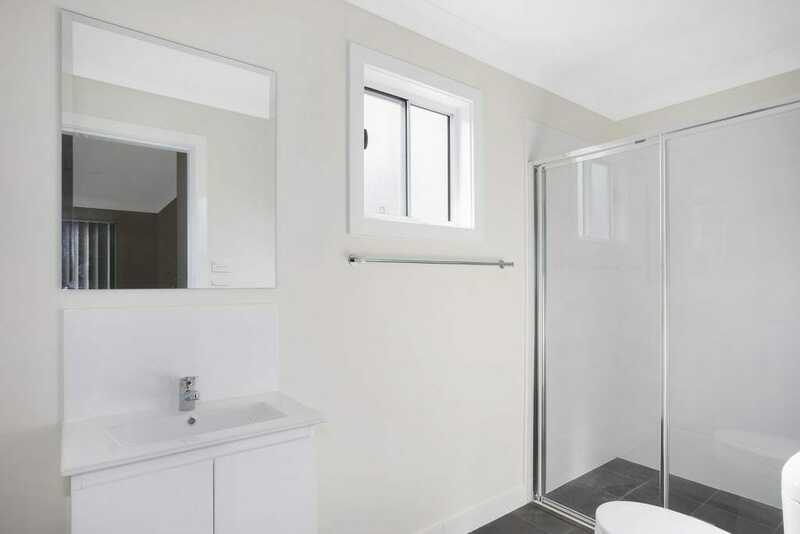 If you re interested in building a Hunter Valley granny flat or to learn more about our services, get in touch with one of our friendly staff today. 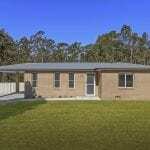 Central Coast granny flat achieves 15% return on investment!